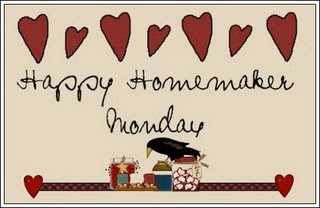 See Sandra's blog for more Happy Homemaker Monday! I tried a Chinese five-spice beef stir fry, but I'm not posting the recipe because, frankly, we just didn't like it. This blog is as crafty as I get. SUMMER BREAK! Only 22 days to go! That some people are too easily led to believe that our gov't knows the answer to all their problems. Isaiah 1:18 "Come now, let us argue this out," says the Lord. "No matter how deep the stain of your sins, I can remove it. I can make you as clean as freshly fallen snow. Even if you are stained as red as crimson, I can make you as white as wool." 'this blog is as crafty as i get' ... that cracked me up !! as did you remark about your new recipe tried !! you are funny !! LOL I'm with Bonnie, that comment was hilarious.